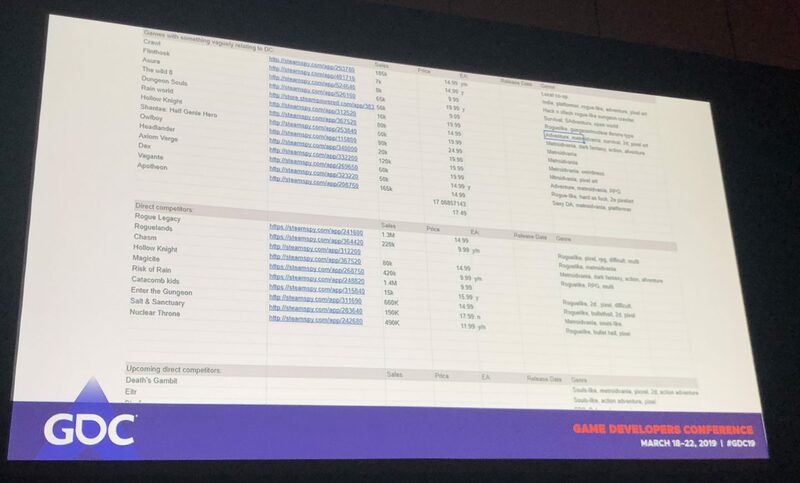 It’s numbing how many slides you see at GDC. Most blow over you like a late afternoon breeze. However there were some that made me sit upright and hoist my phone in the air like some sort of modern-day Statue of Liberty so that I could bring you this image. 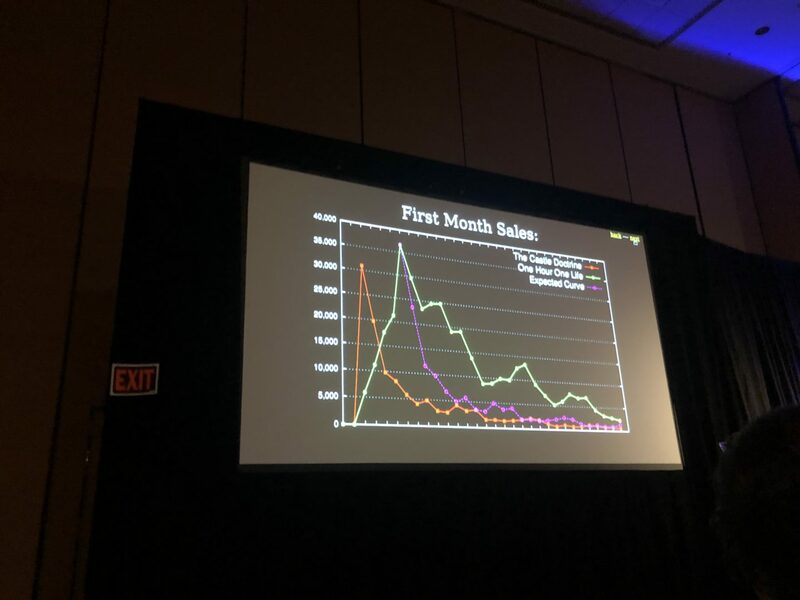 This chart maps the marketing effort of Telltale’s Monkey Series. You see that spike in the middle with the big green arrow? That was when the marketing team gave Episode 1 away for free in exchange for an email address. This was huge! There should have been a whole talk about that one spike. But the speaker barely mentioned it. Essentially they built their mailing list with a lead-magnet. Very effective and you can do this too. For more information about how to do this see #4 of this blog post. 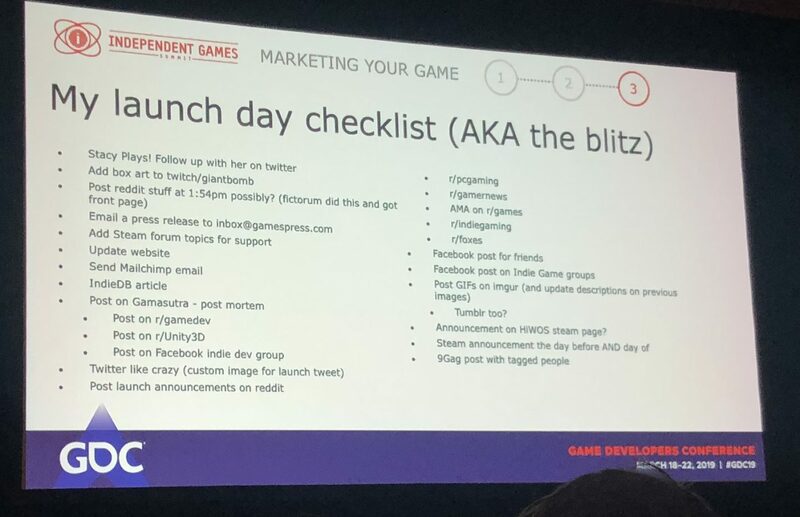 This is the list David Wehle uses the day of his launch. It is a very inspiring todo list. I particularly like [email protected] Didn’t know about that one. 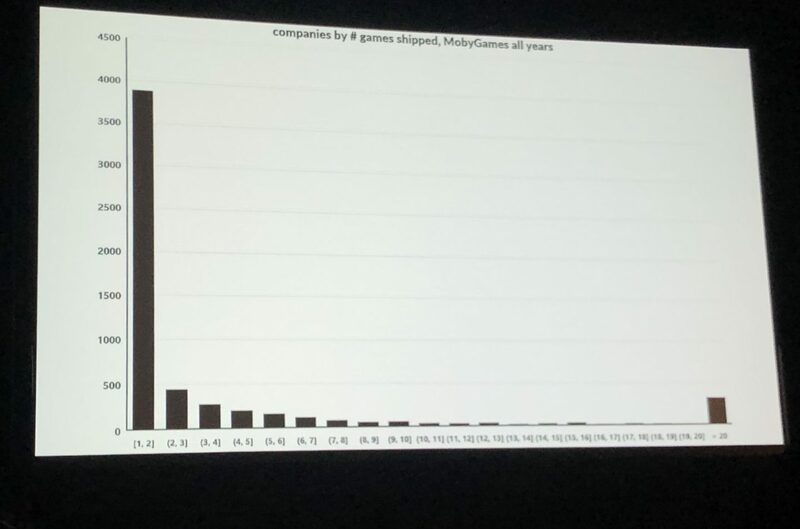 This X axis is the number of games released by all studios found on MobyGames. 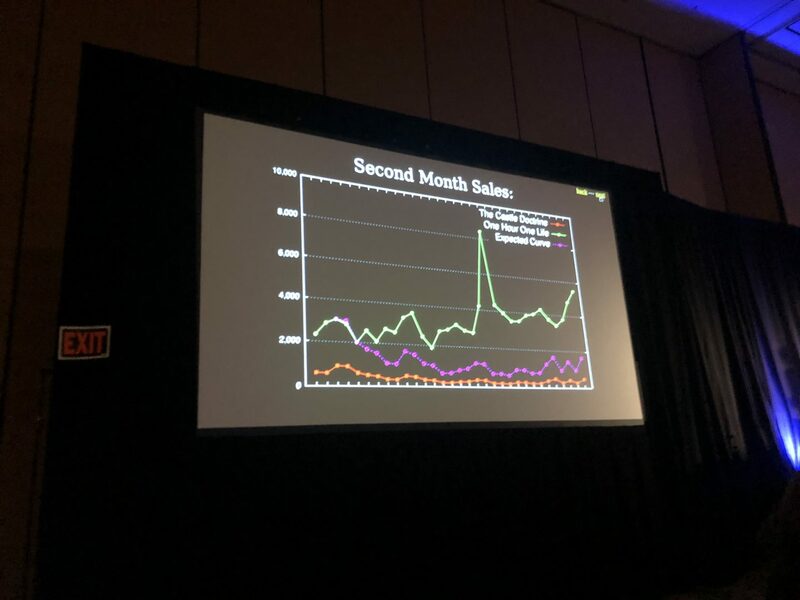 This chart was meant to inspire you to put your name in your game because more than likely your studio will only release 1 game – so who cares about studio name? However, what I got from this is that if you just release 3 games you are light years ahead of everyone else in this damn industry. So release another game. 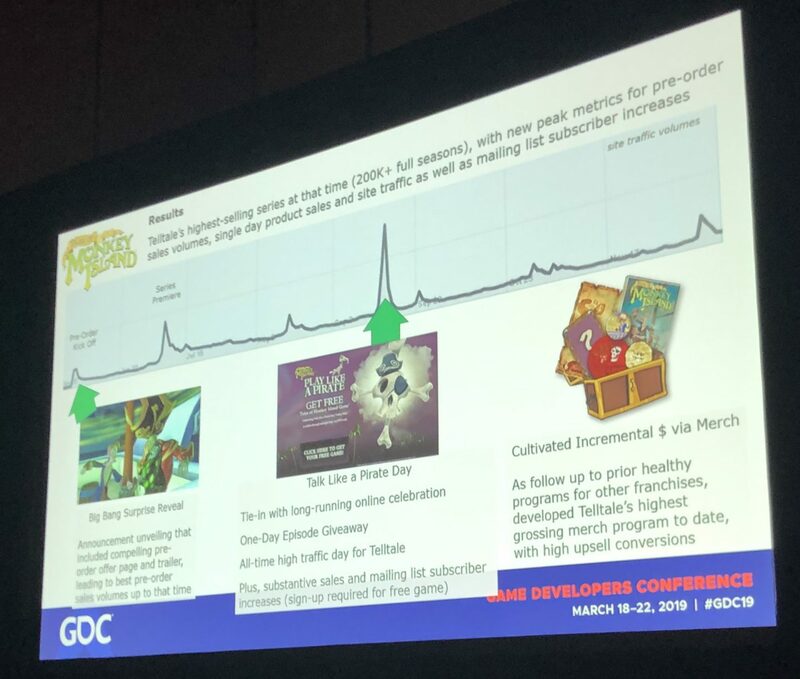 #4 Decorticating ‘Dead Cells’: A Business and Marketing Deep DiveWhen Dead Cells developer Motion Twin was researching their competition they made this chart. I thought it was cool but I would have added a column to list what tags each game used. The Orange Line is a game Jason R released in 2014 and the green one is a game he released in 2018. If you notice the orange line (2014) peaked in the first week. While in the first week, the green line (2018) was like 10% of it. The point of his talk was that games now-a-days have a much slower and longer burn. Ok yes this is 2 slides but Jason broke it up in a weird way so I had to do both. If you see, by the 2nd month the 2018 game went much much higher than the 2014 game. We are living in a world where launch day is not such a make-or-break experience. When you are marketing a game to a platform like Sony or Steam it is important to understand how the company works behind the scenes. 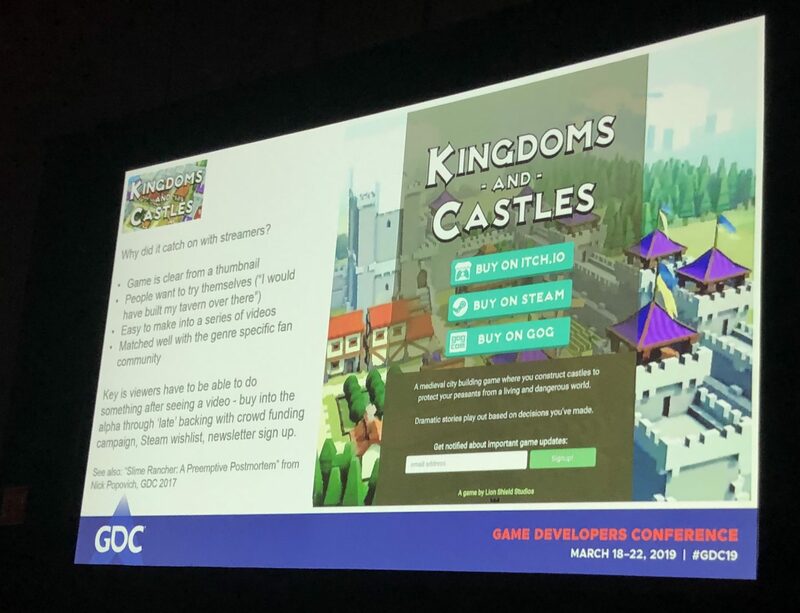 Turns out there are 2 separate departments that actually work together to decide what games to promote. 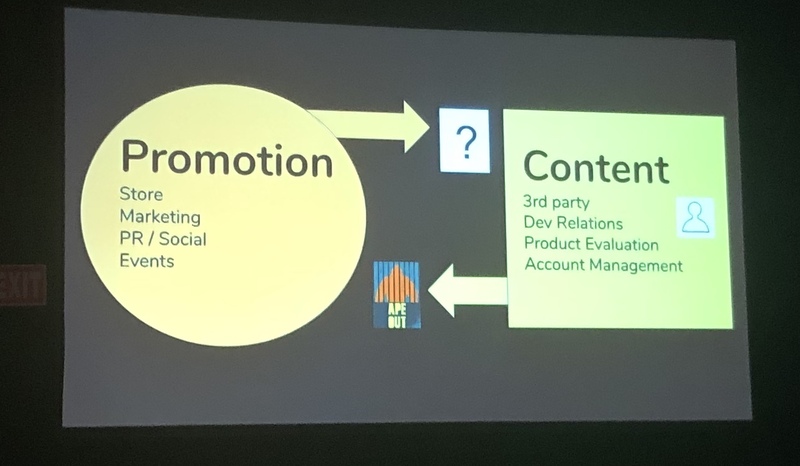 Promotion teams are all about the store and marketing and the Content team is all about evaluating which games are good and worth investing in. You need to talk to both teams.